Have you ever encountered a message on Westlaw Edge indicating that you do not have access to the full text of a particular treatise because it is outside of our subscription? 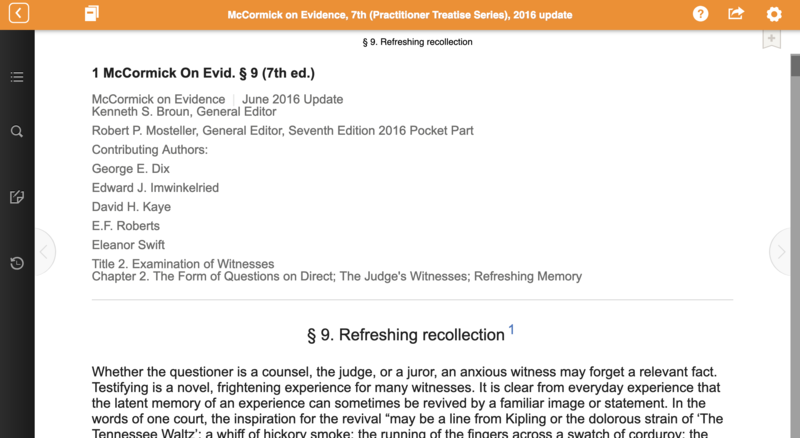 Before you resign yourself to looking for a different treatise on the topic or finding a copy of it in print, first check Thomson Reuters ProView (aka Westlaw ProView)! You may be able to access the treatise electronically through this resource. Many leading treatises are available through ProView, including titles in the Practitioner Treatise Series, such as McCormick on Evidence, Hazen’s Treatise on the Law of Securities Regulation, and White and Summers’ Uniform Commercial Code. Additionally, ProView provides access to Illinois-specific practice materials, such as Illinois Evidence Manual, Courtroom Handbook on Illinois Evidence, and Trial Handbook for Illinois Lawyers, Criminal. 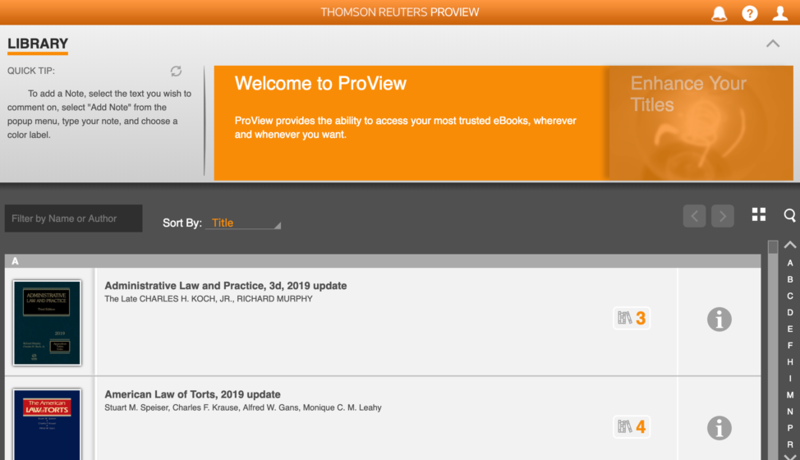 You will be prompted to sign in to Thomson Reuters ProView with your individual Westlaw ID and password. You can browse all available titles in alphabetical order or search for a specific title or author by keyword in the “Filter by Name or Author” search bar. Adjust font, text size, line spacing, and color scheme by clicking on the settings icon in the upper righthand corner of the screen. Create a link or download a PDF for a section of the treatise by clicking on the share icon in the upper righthand corner of the screen. Highlight text in various colors, add notes and annotations, view the entire treatise’s table of contents, and search text by keyword using the options in the left sidebar. In addition to reading these e-books on your desktop computer or laptop, you may also read these e-books on mobile devices, such as iPhones, iPads, and Android tablets and smartphones. Visit this webpage for app download options. Bonus Research Tip: Need to identify a title of a reputable treatise on a topic? Check out the Georgetown Treatise Finders website or PLRC’s very own Treatises by Topic guide… or ask a librarian for assistance!